There was a time not so long ago when a gathering of Scottish tech entrepreneurs would hardly fill a minibus. 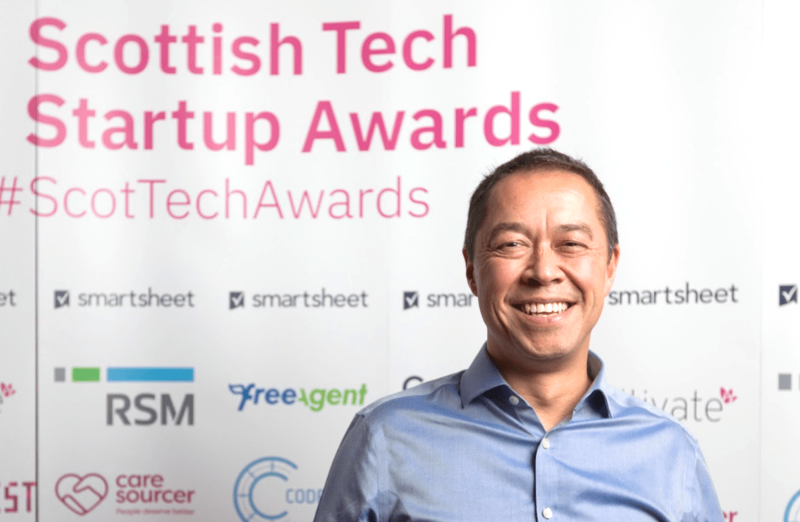 Anyone wanting further confirmation that Scotland has become a hotspot for the sector needed to look no further than the Scottish Tech Startup Awards which were presented at a packed Central Hall in Edinburgh’s Tollcross. It was organised by the folk behind the Turing Festival and 500 tech founders, investors, and sundry other interested parties showed up. I’m told there was a lengthy waiting list for tickets. While it was billed as a startup initiative there were prizes for some not-so-young companies which meant there was a mix of experience and fresh-faced newbies enjoying the free drinks and a chance to celebrate together. Among the well-kent faces were David Ferguson, CEO of Nucleus Financial, Gillian Docherty of Data Lab, Andrew Duncan of SwarmOnline, and Melinda Matthews-Clarkson, who this week unveiled the new Code Clan Academy for the Highlands, helping to ensure that the Edinburgh phenomenon spreads across the country. The judging panel included high profile tech leaders including Mark Logan, former COO of Skyscanner, and investors such as Sandy McKinnon, partner at Pentech; Sitar Teli, managing partner at Connect Ventures, and Calum Forsyth, co-founder and CEO of Seed Haus. Ed Molyneux, founder of software company FreeAgent, was also enjoying what became a big party. Like Nucleus, his company has become a standard bearer for the real prize on offer to the startups: the benefits of getting bigger. Both FreeAgent and Nucleus floated on the London Stock Exchange, making personal fortunes for their founders. FreeAgent’s success was spotted by Royal Bank of Scotland which snapped it up for £53 million in March this year. In a quieter corner of the Central Hall Ed told me that although the private equity boys would have been looking for an exit there was no pressure to sell. It will also mean more jobs. “We had about 130 people at the time of the transaction. We’re now 160 and hoping to have 230 by mid-2019. With that sort of growth in the sector maybe the organisers of next year’s event will need to find an even bigger venue.